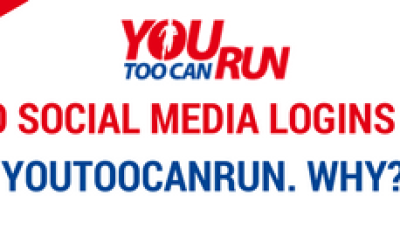 The Marathon Training Workshop conceived by YouTooCanRun held its second workshop at Panjim Goa. In a first time initiative, the Vasco Da Gama Sports Club, organizers of the Goa River Marathon invited the faculty of YouTooCanRun to conduct the Marathon Training Workshop at the prestigious Kala Niketan, on Sunday Oct 21st. Faculty Mr Daniel Vaz and Mr P. Venkatraman travelled to Goa the previous night for this workshop. The Workshop saw over 80 attendees and included representatives of Goa Athletic Federation and as well as fitness trainers, regular marathoners and aspiring runners. One participant had travelled overnight from Gadhak in Karnataka to be part of the workshop. In the earlier evening, Runners assembled in a running track stadium where Mr Daniel Vaz put them through a series of exercises intended to improve their running musculature as well as strengthen their core muscles. Needless to mention the participants broke into a sweat. However the next morning they were seated comfortably in the ‘Black Box’ an elite auditorium and part of the Kala Academy, Panaji. The Workshop consisted of four modules and aspects of nutrition and healthy eating habits, the human physiology and how the body adapts to training, the various training plans and how to progressively become fitter and lastly various practical factors such as the clothes, shoes and safety of women runners were all discussed and debated. The Marathon was attended with rapt attention by the audience and Q & A session in the end saw an engaged audience interacting with the faculty and asking very pointed questions. In the Vote of Thanks, Mr Rakesh Unny, Lead Organizer of the Goa Running Marathon expressed, ‘We are very happy to be able to have such experienced runners in our midst and share their knowledge with us’. A more detailed session, with practical exercise sessions is on the cards. We do not provide training services.